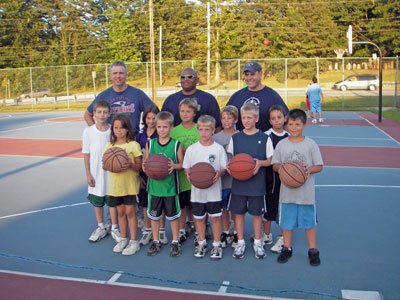 The Smithfield Police Department will be teaming up with the Recreation Department and others to sponsor night basketball games for local youth. The games will be held at the Deerfield Park basketball courts on the following Mondays (July 1st, July 8th, July 15th, July 22nd, July 29th) between 7:00 p.m. – 8:30 p.m.
Smithfield Youth (Grades 5 – 9) are encouraged to participate by playing basketball, serving as timekeepers, or simply cheering on friends and enjoying these relationship-building evenings. There are no fees or registration. For more information, contact the Smithfield Police Department Community Policing Unit at 231-2500, extension 202.